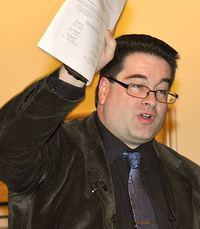 Christian philosopher and apologist Peter S. Williams (MA, MPhil) is Assistant Professor in Communication and Worldviews at Gimlekollen School of Journalism and Communication, Norway. Peter also works with the UK Damaris Trust, leading philosophy conferences for A-level students and undertaking writing, speaking, debating and broadcasting engagements. Peter has authored several books, including: A Faithful Guide to Philosophy: An Introduction to the Love of Wisdom (Paternoster, 2013), C.S. Lewis vs the New Atheists (Paternoster, 2013), Understanding Jesus: Five Ways to Spiritual Enlightenment (Paternoster, 2011) and A Scepticâ€™s Guide to Atheism (Paternoster, 2009). 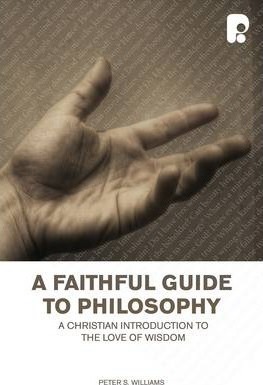 A Faithful Guide to Philosophy is the only British Christian introduction to philosophy. It is a book that will be used as a course textbook and by church study groups and individual readers alike. It covers subjects of central importance to the Christian worldview â€“ the relationship between faith and reason, the objective reality of truth, goodness and beauty, the existence and nature of God, the existence of the human soul and of free will, the existence of angels, the believability of miracles in general and the resurrection of Jesus in particular, the coherence of the idea that God is a trinity of divine persons, and so on â€“ from a philosophical viewpoint. This is the broadest range of topics covered by any Christian introduction to philosophy and will be prized by many.